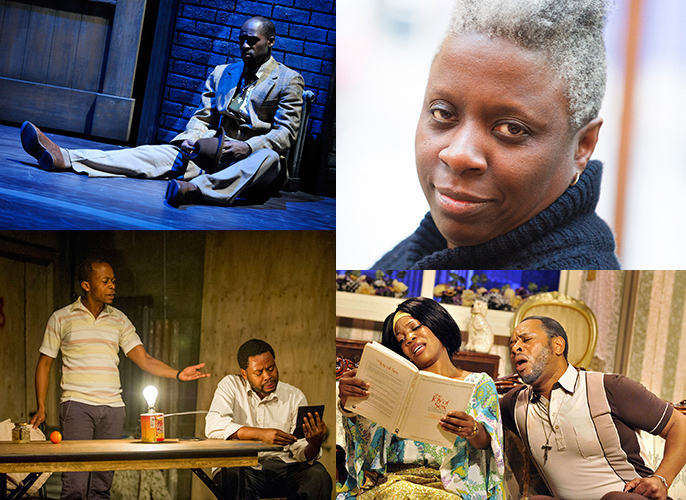 Major regional venues join Eclipse Theatre Company in three year equality initiative designed to act as a catalyst for permanent change in British Theatre Following the launch of Revolution Mix in October 2014, Eclipse Theatre Company has announced thewriters and the venues it will partner with in the largest ever national delivery of Black British stories in regional theatres. Revolution Mix will run from 2015 – 2018 with the aim of provoking major change, tackling inequality and creating a lasting legacy within the UK’s theatrical landscape both onstage and off. The project will work with sixteen writers, including Bruntwood Prize for Playwriting winner Janice Okoh and BAFTA/Mobo Award winning hip hop artist Akala, alongside Luke Bailey, Perrie Balthazar, Maurice Bessman, Leah Chillery, Lorna French, Tyrone Huggins, Afshan Lodhi, Archie Maddocks, Courttia Newland, Zodwa Nyoni, Chino Odimba, Juliet Gilkes Romero, Shamser Sinha and Paula B Stanic. Revolution Mix will develop and produce an ambitious body of work which will include a series of middle-scale tours, two small scale tours, two films and a series of short dramas for radio. It will be delivered in partnership with a network of venues, which will include Bristol Old Vic, Northern Stage, Sheffield Theatres, West Yorkshire Playhouse, Hull Truck Theatre, The Royal Exchange Theatre Manchester, Liverpool Everyman Playhouse, Birmingham Repertory Theatre, Belgrade Coventry, Salisbury Playhouse and the Royal Court Theatre. The project will culminate in 2018 with a year-long festival created by artists based all over the country, working with Eclipse Theatre Company and the partner theatres. Writer Tyrone Huggins said “I have long been concerned that the performing arts in Britain are happy to appropriate stories from cultures outside its shores and very resistant to cracking open the stories that tell us who we are as a nation and how our culture got to where it is now. This is a chance to generate a broad body of work in one movement”. James Brining, Artistic Director of West Yorkshire Playhouse said "I’m thrilled that the Playhouse is part of Eclipse Theatre’s pioneering Revolution Mix. To be part of such a fantastic project created in order to find, develop and harness the talent of new writers from diverse backgrounds presents a terrific opportunity. Leeds is an extremely diverse city and the scheme resonates with our own commitment to nurture new talent and create opportunities for new voices and talents to be developed." Akala is a Bafta and MOBO award-winning hip hop artist, writer/poet and historian. In 2009, Akala launched the ‘The Hip-hop Shakespeare Company’ and in 2012 his screenplay Rage was part of 10by10 (eclipse theatre). Luke Bailey is the co-creator of film company 99% Productions, whose inaugural picture Howl No More is to be released soon. His writing is regularly seen at the Lowry, Salford, his most recent being Faraday’s Tunnel, 45 Minutes and Dissociation. Luke is also an actor (Casualty). Perrie Balthazar is currently on the writing team of Coronation Street. She was previously written for Hollyoaks, and EastEnders and has several dramas in development. Leah Chillery has written regularly for BBC Radio 4, most recently Losing My Penny. She was a co-writer on 50 Ways to Leave Your Lover at Latitude Festival and the Bush Theatre. Brown Widow (screenplay, 10 by10 eclipse theatre). Lorna French has been shortlisted for the 2014 Papatango Prize for City Melodies, for the Barry Rockford Bursary, and won the 2006 Alfred Fagon Award for Safe House. She was previously in the writing team of radio drama Silverstreet for BBC Asian Network. Tyrone Huggins is a writer and actor who has written twelve plays. He is currently under commission to Birmingham REP, and recently finished a tour of The Honey Man, which he wrote and starred in. Afshan Lodhi writes plays, prose and performance pieces and she is a regular contributor to the online publications: The Body Narratives, Vada Magazine and Inscribe, under the pseudonym Tara Ali Din. Her recent plays include To Market, To Market and The Lesborrist Tapes. Archie Maddocks’ plays include Mottled Lines of Communication, Ground Rules and We Are Young. Archie is also an award winning stand up comedian. Courttia Newland has written eight novels, starting with The Scholar and most recently The Gospel According to Cane, over twenty short stories, and ten plays produced at Soho Theatre, Ovalhouse, The Lyric Hammersmith and Edinburgh Fringe Festival. Zodwa Nyoni is a playwright and a poet. Recent residencies include Channel 4 Playwright’s Scheme, Leeds Kirkgate Market for the iMove Cultural Olympiad, and I Love West Leeds Festival. Her most recent play Boi Boi is Dead has just completed a run at West Yorkshire Playhouse and Watford Place Theatre. Chino Odimba is currently writer-on-attachment for Clean Break Theatre. She’s been shortlisted for both the Alfred Fagon Award and the Adrienne Benham Award in 2013, and her plays include An Ode to Adam (Ustinov Theatre, Bath) A Blues for Nia (screenplay, 10 by10 eclipse theatre) and Rainy Season (Bristol Old Vic). Janice Okoh’s most recent play, Egusi Soup, toured the UK. Her 2011 play Three Birds won the Bruntwood Prize for Playwriting and was shortlisted for the Verity Bargate Award and the Alfred Fagon Award. In 2013 she collaborated with Anthony Neilson as part of the Open Court season at the Royal Court. Shamser Sinha’s play The Dissidents was at the Tricycle Theatre in March of this year. His other plays include Freedom, Khadija Is 18 (Hackney Empire and Finborough Theatre) and Storm (whilst on attachment at the Royal Court). Paula B Stanic has been a writer on attachment at the National Theatre Studio, a writer-in-residence at the Royal Court, and was part of the Royal Court’s 2010 Supergroup. Her What’s Lost won the 2008 Alfred Fagon Award, and her play Monday was shortlisted for the John Whiting Award.